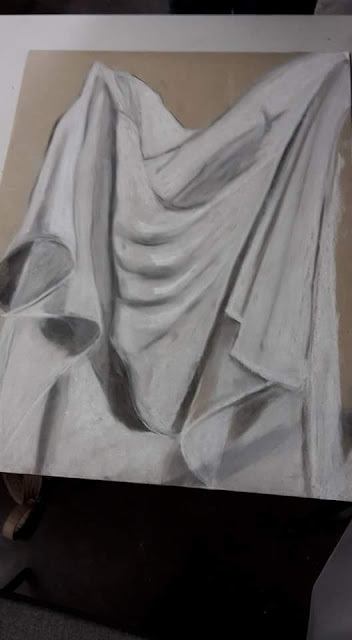 Week four of Drawing For Beginners- has been the hardest one yet we had to draw drapes/sheets using chalk and charcoal. 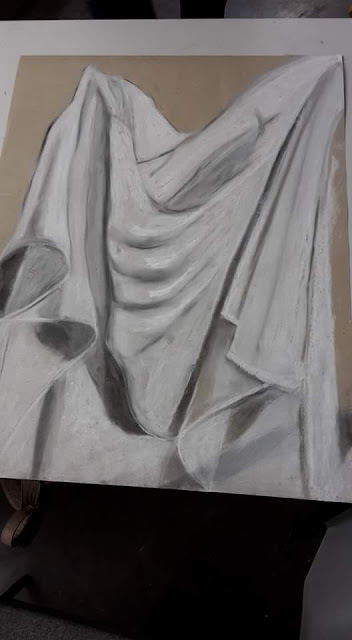 We were taught to draw the outline in chalk and use the charcoal to add shading. 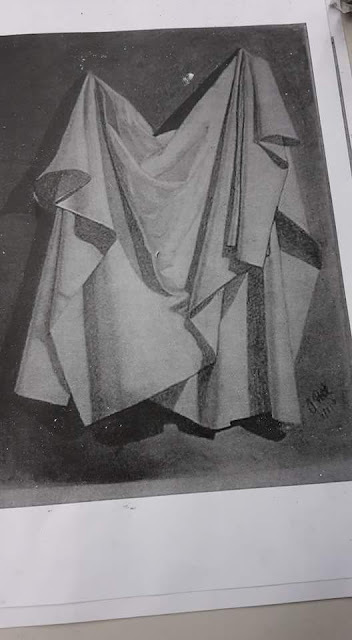 Depending on how dark the shadows were we had to layer white chalk and black charcoal to create the varying shadow colours and to give the sheet the texture with all the bends and folds. It's abit out of proportion but it could have been far worse, I'm definitely more of a fan of Drawing with a pencil I feel that is more my strength however I did enjoy the challenge of Drawing with new materials. I can't wait to see what challenge next week brings.